I always ask my e-decorating clients to email me inspiration pictures to help me get a sense of their style. This particular e-decorating sent me this picture and wrote "This is my favorite room." I couldn't agree more! 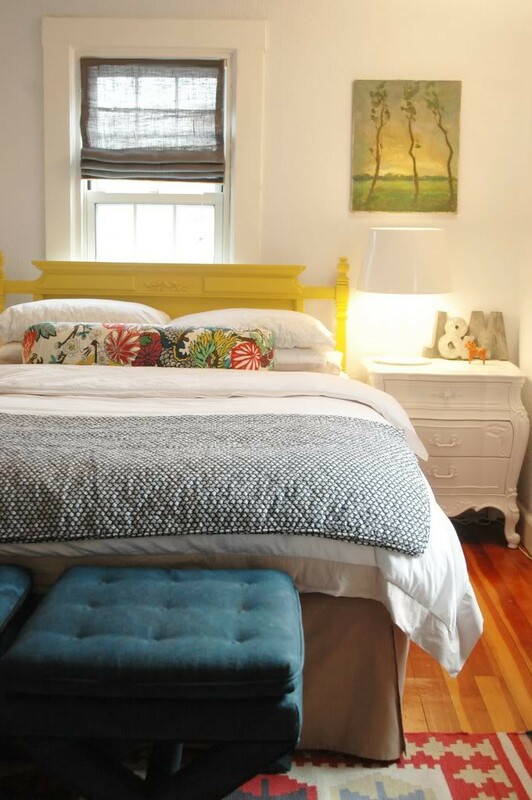 This is a former bedroom of Jenny from Little Green Notebook. It was one of the first images of hers that I fell in love with. Thanks for always inspiring, Jenny! Jenny's former bedroom has always been an inspiration of mine. Actually, it inspired our current master bedroom. 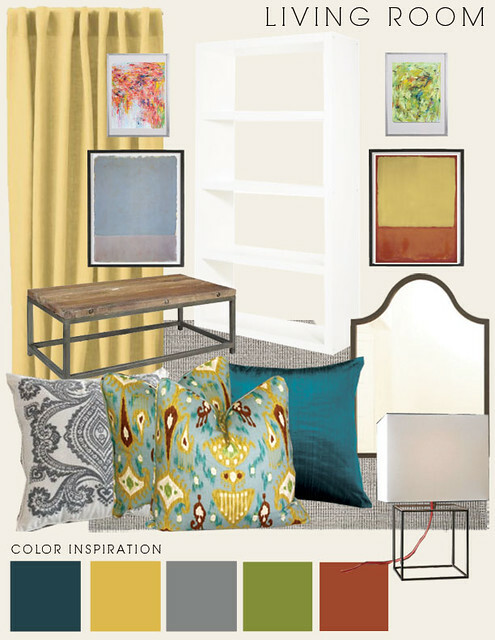 Love the mood board you put together! Hi Bryn - I am relatively new to your blog (in the past couple of weeks) but love what you've done and how you pull things together. I love the colours that you've used for the living room in this post. I am just starting out as an interior decorator in the Toronto area and was wondering what software/website do you use to put together your mood/inspiration boards? Look forward to more posts! What a lovely room! Isn't that funny when things come back around to you. kind of my dream bedroom! This is beautiful! I love the color pallette! Where are those gorgeous ikat pillows from? Hi Bryn! I also love Little Green Notebook...her decor is oh so cute!! Love your blog...I've been following ever since you moved to Charlotte. My sister lives there also...I love Charlotte SO much! I wish I could talk my husband into moving there! I have a blog called Her Late Night Cravings. We cover a lot of fashion trends & beauty products, but I'm getting ready to dive head first into home decor, which I'm obsessed with! I'm really excited about posting some room tours for everyone to check out. Would love for you to follow us & let us know what you think! Great inspiration, Jenny never disappoints! Your concept board is fabulous...I love the pillows and the details! What a great mood board! Love the colors and the mix of pillows. Gorgeous mood board! Just gorgeous. I'd sure love to know where the navy and white quilt comes from. I've been looking for something similar for our bedroom. If that's the lack bookcase from Ikea, I hate to be the bearer of bad news but it's been discontinued. I almost cried when they told me the news. Sad face x 1000. Great mood board! I love the artwork and color scheme! What kind of fabric are the roman shades in the inspiration photo? Um. I LOVE this room. Hope you don't mind if I snag this pic and post on my blog (of course I'll link back). Feel free to tell me if you'd like me to remove it.... Thank you!